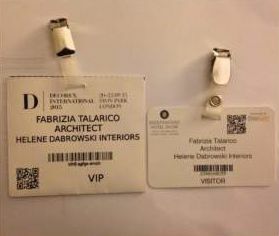 During these two weeks at the Helene Dabrowski’s Company, my HE, I improved my tecnical skills and for me was the first experience in this area, Interior Design. 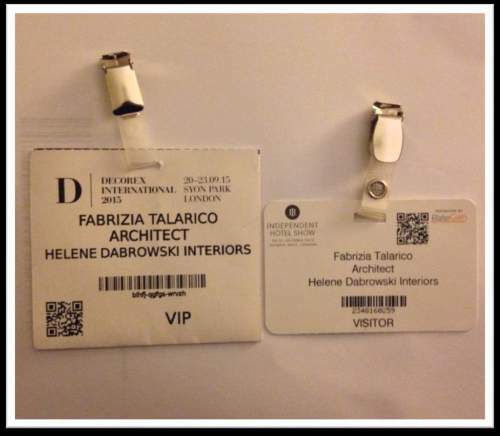 I worked peacefully and Helene Drabrowski was with me very patient and very friendly. I learnt how to use a new software, Vectorworks 2014, and I read technical books and design magazines for to improve my technical language. I visited two important furniture’s expositions, the first in September was Decorex International 2015 in Syon Park – London, where there were a lot of furnitures, chairs, beds, armchairs, lighting and more than 400 exhibitors. The second was in October , Independent Hotel Show in Olympia West – London companies specialized in hotels furnishing – and also this one was very interesting. These first months were very productive for me.